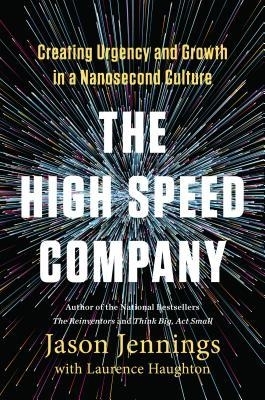 “The High-Speed Company: Creating Urgency and Growth in a Nanosecond Culture” by Jason Jennings with Laurence Haughton (Portfolio/Penguin, $27.95). Three words are missing from many corporate vision and guiding principles statements: Adapt, Improvise, Overcome. Without those words to remind all employees of creativity and speed, organizations subject themselves to Methodism (n. “the unthinking application of the same routine(s) to every situation”). ▶ Blockbuster was blown away by Netflix. It thought its competition was other video rental chains. It didn’t respond to the new market DVD-by-mail paradigm that Netflix offered. Blockbuster went bankrupt. To its credit, Netflix did continue adapting to consumer trends. By quickly entering the video streaming business, it stayed on the cutting edge of customer satisfaction. With the advent of smart TVs, it remains well-positioned to hone that edge. ▶ Kodak had the technology for digital photography well before “digital” was thought about by its competitors. It put the technology on the shelf because it thought it would cannibalize its film business. By the time Kodak realized that digital photography was “the next big thing,” it was behind the competitive eight ball. It went bankrupt. Some of the actions that help employees forget Methodism: “Keep it simple.” Don’t muddy communication with fuzzy words, buzzwords and jargon because they lead to misunderstood expectations. Clearly communicate what; let them figure out the creative how. “Make it OK to make mistakes.” By penalizing those who make mistakes, you’re creating a culture of cover-up and finger-pointing. People become more risk-averse, which halts the learning experience of creativity and exploration. “Keep people motivated.” Zig Ziglar, the motivational guru, said, “They say motivation doesn’t last long, and I agree. Showering doesn’t last either, which is why it’s recommended every day.” If you want people to think about opportunities and possibilities, there can never be too many motivational messages communicated. The bottom line: The answer to “What’s next?” should never involve repeating what’s been done. In a business world where change fuels growth, a product’s life cycle reaches the maturity and decline phases quickly. 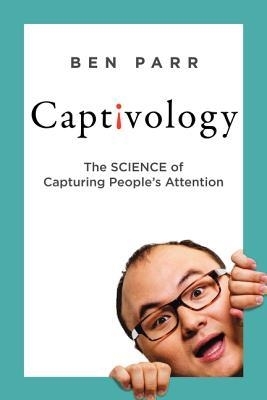 “Captivology – The Science of Capturing People’s Attention” by Ben Parr (HarperOne, $27.99). Automaticity — Things that stand out grab our attention because of association and contrast. Research confirms color as the most powerful attention grabber. When you see red, there’s a different associative response than blue because red indicates certain things (i.e. danger, anxiety, and romance). But contrast plays a role, too. If you see red against a background of other shades of red and any shade of blue against a white background, the blue would stand out. Color — From a product standpoint, colors “pop” when they have the right contrast. They also “pop” when they’re different from those of competitors’ products. When you enter Costco, you’ll see television set boxes with pictures on white backgrounds. What if a manufacturer used a neon green background? Would that grab your attention? What if the background was light pink? Symbols — A pair of squiggly lines on a traffic sign means something totally different than one squiggly line. Similarly, logos are symbols that garner attention. Not only because of their shape, but also because of the meaning associated with their brand. The famous logos of Apple, FedEx and Pepsi, for example, create consumers’ expectations. Sound — Imagine a pickup truck commercial with a waltz versus a pulse-pounding soundtrack. Which one evokes images of a truck hard at work? Playing off automaticity’s sensory cues, Parr sets the table for the other six attention-keeping triggers.